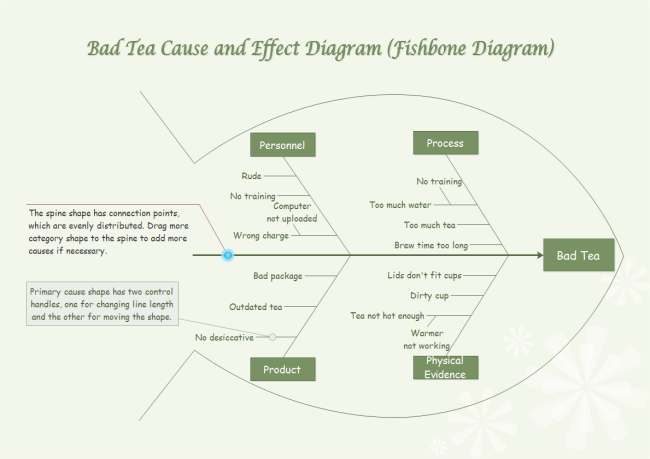 This Cause and Effect Diagram Software for Linux enables you to create fishbone, Ishikawa, cause and effect diagrams with free templates and examples quickly. 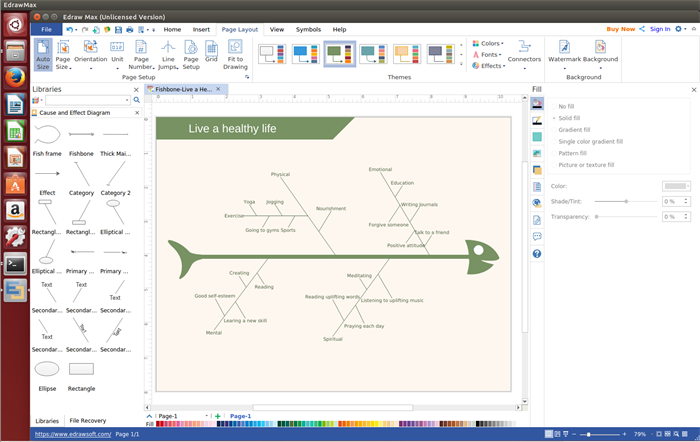 Edraw Cause and Effect Diagram Software for Linux covers many free vector cause and effect diagram shapes such as effect, fish frame, category, primary cause, secondary cause, main frame, etc and templates. You can use these shapes & examples to design your own cause and effect diagram in minutes. Offer perfect layout with branches paralleled. Movable text boxes allow you add and edit information easily. You are able to edit sub branches for the attached connection points. Users are also allowed to change theme with 1 click. A variety of export option. Users can export the completed cause and effect diagrams to JPEG, PDF, SVG, HTML, Word, PPT, PowerPoint and much more format. You can find cause and effect diagram symbols you need in this program. Furthermore, different kinds of arrow shapes are also prepared for you such as bent arrow, flexible arrow, line arrow, double arc arrow and so on. Get Started with A Cause and Effect Diagram Template. Go to"File" menu > "New". Double click "Business Diagram", and then choose a templates. Add Built-in Shapes. Drag and drop shapes from the left libraries to the design page. Add Category onto the Drawing Page. Select a category you want, drag it to the drawing page and then position it. Add text content. Label a category, double click the "Text" and then type your words. Save or Export Cause and Effect Diagram. Hit "Save" on "File" tab to save the file as the default eddx format, or you can choose "Save as" on "File" tab to export to other formats such as jpg, png, pdf, html, etc. 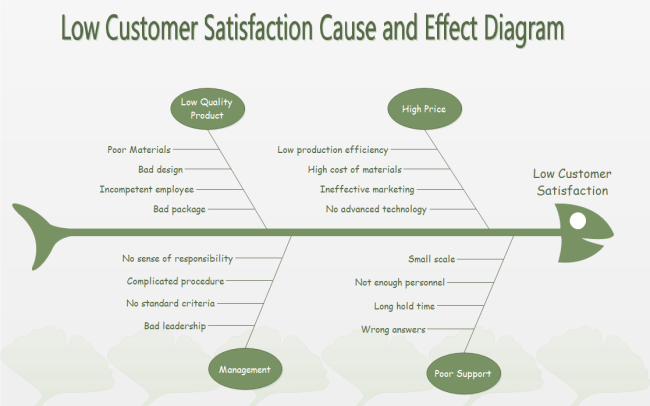 Read detailed tutorial on how to create cause and effect diagram. Work out the major factors involved. Here are some cause and effect diagram examples designed by our cause and effect diagram tool for Linux. Simply free download, edit and share them.